One leading researcher says that makes the barberry "the ecological perfect storm for tick-borne diseases"
Ever heard of a Japanese barberry plant? It's a small shrub, common in home and commercial landscaping. Acres of it grow wild in tri-state woods. Deer avoid it. Japanese barberry shrubs are warmer and more humid than other plants, creating an environment where ticks can thrive and reproduce, increasing the risk of transmission of Lyme and other potentially dangerous infectious diseases, experts say. Ticks have to be infected with the bacteria that causes Lyme in order to transmit it. White-footed mice, which are common carriers of that bacteria, often hide in the barberry's dense and thorny branches. One infected mouse passing through can transfer bacteria to any number of ticks, which then pass the infection to their next host. Dr. Scott Williams, the lead researcher on Japanese barberry for the Connecticut Agricultural Experiment Station (CAES), told NBC Connecticut that the barberry is "the ecological perfect storm for tick-borne diseases." His team's research showed an acre of forest containing Japanese barberry averages a Lyme disease-carrying tick population 12 times higher than an acre with no barberry. 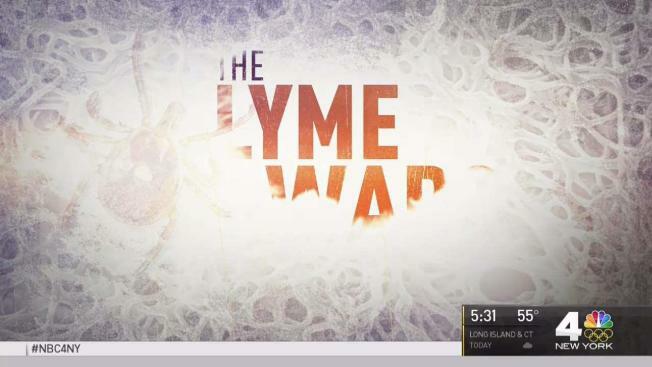 Watch the animation below to learn more, and tune in for the News 4 I-Team's special five-part series, "The Lyme Wars," beginning Monday, Oct. 23. Researchers say this rampant bush is helping spread Lyme disease. This is why.